What does an anti-inflammatory diet do? Your immune system becomes activated when your body recognizes anything that is foreign—such as an invading microbe, plant pollen, or chemical. This often triggers a process called inflammation. Intermittent bouts of inflammation directed at truly threatening invaders protect your health. However, sometimes inflammation persists, day in and day out, even when you are not threatened by a foreign invader. That's when inflammation can become your enemy. Many major diseases that plague us—including cancer, heart disease, diabetes, arthritis, depression, and Alzheimer's—have been linked to chronic inflammation. One of the most powerful tools to combat inflammation comes not from the pharmacy, but from the grocery store. "Many experimental studies have shown that components of foods or beverages may have anti-inflammatory effects," says Dr. Frank Hu, professor of nutrition and epidemiology in the Department of Nutrition at the Harvard School of Public Health. Choose the right anti-inflammatory foods, and you may be able to reduce your risk of illness. Consistently pick the wrong ones, and you could accelerate the inflammatory disease process. Not surprisingly, the same foods on an inflammation diet are generally considered bad for our health, including sodas and refined carbohydrates, as well as red meat and processed meats. "Some of the foods that have been associated with an increased risk for chronic diseases such as type 2 diabetes and heart disease are also associated with excess inflammation," Dr. Hu says. "It's not surprising, since inflammation is an important underlying mechanism for the development of these diseases." Unhealthy foods also contribute to weight gain, which is itself a risk factor for inflammation. Yet in several studies, even after researchers took obesity into account, the link between foods and inflammation remained, which suggests weight gain isn't the sole driver. "Some of the food components or ingredients may have independent effects on inflammation over and above increased caloric intake," Dr. Hu says. On the flip side are beverages and foods that reduce inflammation, and with it, chronic disease, says Dr. Hu. He notes in particular fruits and vegetables such as blueberries, apples, and leafy greens that are high in natural antioxidants and polyphenols—protective compounds found in plants. 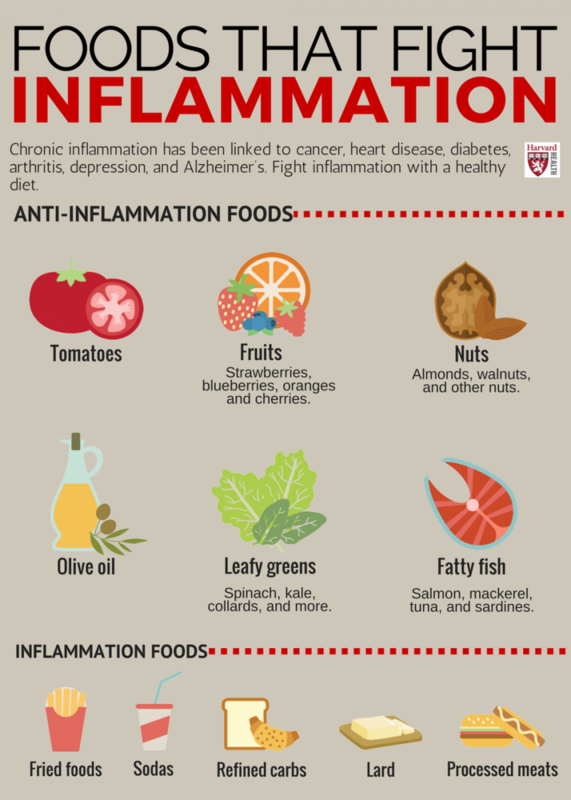 To reduce levels of inflammation, aim for an overall healthy diet. If you're looking for an eating plan that closely follows the tenets of anti-inflammatory eating, consider the Mediterranean diet, which is high in fruits, vegetables, nuts, whole grains, fish, and healthy oils. In addition to lowering inflammation, a more natural, less processed diet can have noticeable effects on your physical and emotional health. 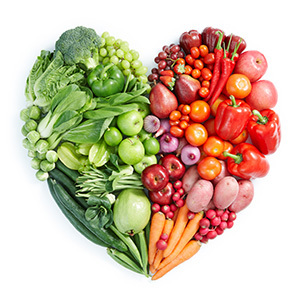 "A healthy diet is beneficial not only for reducing the risk of chronic diseases, but also for improving mood and overall quality of life," Dr. Hu says.